The fierce evening winds continued to take cold chunks out of the waiting crowd. They huddled around one another, waiting outside Exchange for the doors to swing open to reveal The Faim and their world tour. The French alternative pop rock group, Halflives were up first opening the show, bringing big bop songs such as ‘Fugitive’, ‘Mayday’ and ‘Crown’ to fully wake the Bristolian audience and have those singing voices thoroughly warmed up. The groove duo known as Chapel were up next, with Kortney issuing Carter a locker room pat before setting up and smashing down on the drumkit with some big opening fills. The crowd were co-operative and were more than interested to get involved with synchronised claps. Most impressive of all was how they were even led to sit on the questionably clean floor, so that they could then leap in the air as the big chorus came in on songs like ‘Caught Up’ and ‘Don’t You Love Me’. The Australian headliners proved to be most welcome in Bristol as they were issued a huge round of applause upon entering the main room. They immediately tore straight into their electric setlist for the evening. 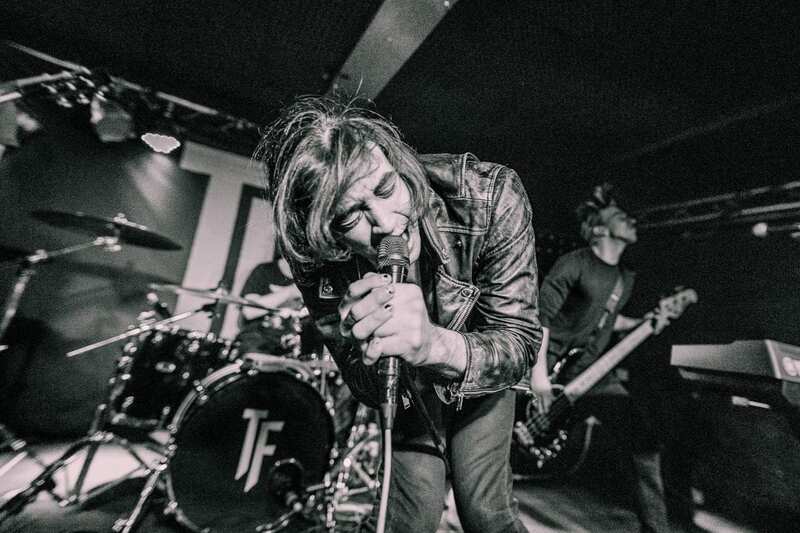 The Faim are certainly no slouches with stage charisma themselves; they made the most of the small space they had, a whirl of sound and fury. ‘Summer Is A Curse’, ‘My Heart Needs To Breathe’ and ‘Saints Of The Sinners’ raked in the attention as decibels soared with each additional screaming voice, not only from the stage, but also from those watching..
Every band instinctively demanded and earned the courteous attention of their spectators and were met with so much more – a truly entertaining night for both band and artist.